Leave it all to Elope g Weddings New Zealand to organise your complete Waiheke Island wedding day. 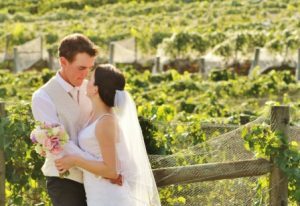 Our packages include NZ registered celebrant, photography, accommodation and fine dining at any one of our world class vineyards. Waiheke Island has lots of amazing photo opportunities at every turn. 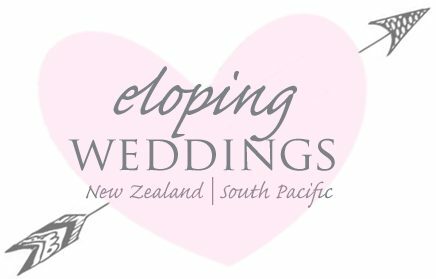 Eloping Weddings New Zealand will arrange your entire wedding day and save you money. Thats right, we can handle the whole event and provide you with proven, professional suppliers from the Auckland region. This ensures your wedding day flows perfectly. We have already tried and tested every wedding supplier regular through our many Waiheke weddings so you can be sure you are getting the best professionals for your special day. Waiheke Island boasts fabulous beaches, wineries and a very mild climate. This climate is perfect for growing grapes and also getting married. With stunning views of the Hauraki Gulf to city scapes of Auckland on every peak, Waiheke Island is the perfect Island for your New Zealand wedding. It’s close proximity to Auckland and New Zealand’s biggest international airport makes getting married with top vendors easy. Auckland is a small city with few people compared with international standards. This makes getting around easy and safe. With low crime rates and great public transport, Auckland is an easy city to navigate. Getting to Waiheke Island is particularly easy with lots of parking and fast ferries. It is also on the direct route from the airport so getting to Waiheke direct from your international flight is effortless. We can book all your accommodation, ferry tickets and transfers before you leave home. We create fantastic weddings in Waiheke including all of the below. We only use the best wedding vendors to ensure your eloping wedding in NZ is perfect! Our packages start at $3850 NZD. Contact us for an information pack complete with prices on our Waiheke Island weddings. We have a variety of options. Contact us at your convenience.